Indian Idol is one of the best reality show for music lovers. The show gave so much happiness to their viewers. So many people follow a daily update of the show. So as we all know that the season 10 of Indian Idol 2018 is on the stage of the end. Today is finales of the show. 23rd December 2018- awesome episode of the Indian Idol lovers. At the time of finale, so many famous singers and some film stars are the part of the show. Shah Rukh Khan, Katrina Kaif and Anushka Sharma will be seen promoting their film Zero during the finale. Indian Idol 10 will gets it winner tonight. The day was very special. The five contestants of the show were fighting for the winner’s title are Nitin Kumar, Salman Ali, Ankush Bharadwaj Neelanajna Ray and Vibhor Parashar. 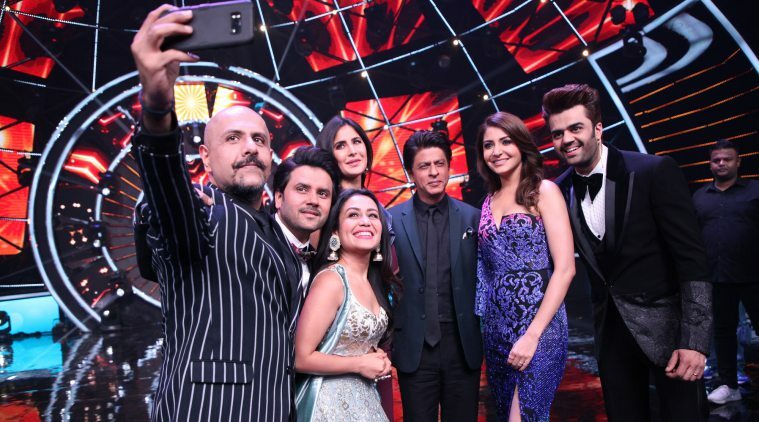 Judge by Neha Kakkar, Javed Ali and Vishal Dadlani, the popular singer reality TV show premiered on July 29,2018, on Sony TV. The guest that is the part of the show will have the team of Anand L Rai’s film Zero having fun and interacting with the finalist. Shah Rukh Khan, Anushka Sharma and Katrina Kaif will be seen getting bowled over by the performance of the contestant of the show Indian Idol. With the team of Zero, the gala evening will have the finalists performing with eminent singers like Pyarelal, Suresh Wadkar, Lahirir and Alka Yagnik. At the end of the show, another guest who joints the finale that is Shilpa Shetty and Choreographer Geeta Kapur will also be seen promoting the upcoming kids’ dance reality TV series Super Dancer Chapter 3. Be with us to know the winner of the show Indian Idol season 10.